This week in North Philly Notes, to commemorate the 10th anniversary of the natural disaster, we feature various Temple University Press titles on and authors whose work relates to Hurricane Katrina. Behind the Backlash author Lori Peek, was interviewed on the CBS Evening News on August 24 about the Children of Katrina. Peek is the author of two books on Katrina, Displaced: Life in the Katrina Diaspora (with Lynn Weber) and Children of Katrina (with Alice Fothergill). When disasters strike, people are not the only victims. 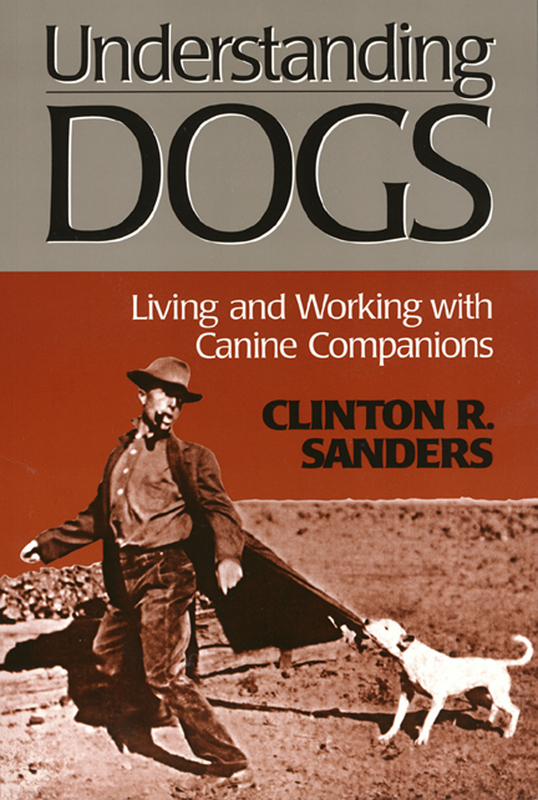 Hurricane Katrina raised public attention about how disasters affect dogs, cats, and other animals considered members of the human family. 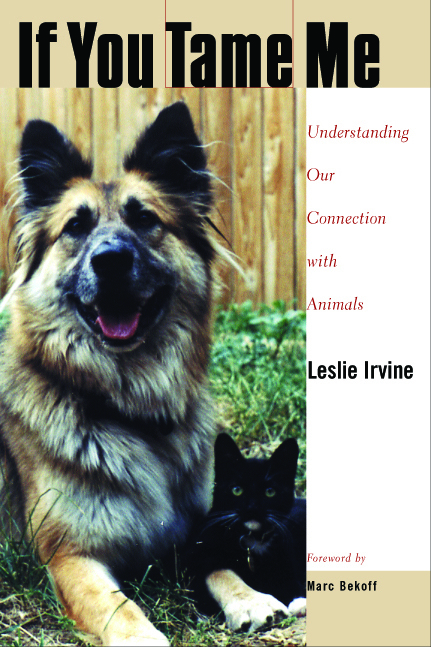 In this short but powerful book, noted sociologist Leslie Irvine goes beyond Katrina to examine how disasters like oil spills, fires, and other calamities affect various animal populations—on factory farms, in research facilities, and in the wild. 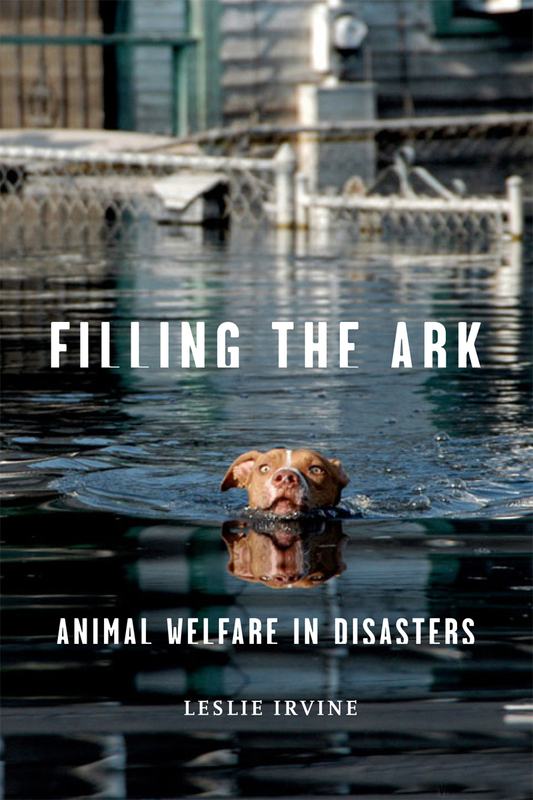 Filling the Ark argues that humans cause most of the risks faced by animals and urges for better decisions about the treatment of animals in disasters. Furthermore, it makes a broad appeal for the ethical necessity of better planning to keep animals out of jeopardy. Irvine not only offers policy recommendations and practical advice for evacuating animals, she also makes a strong case for rethinking our use of animals, suggesting ways to create more secure conditions. 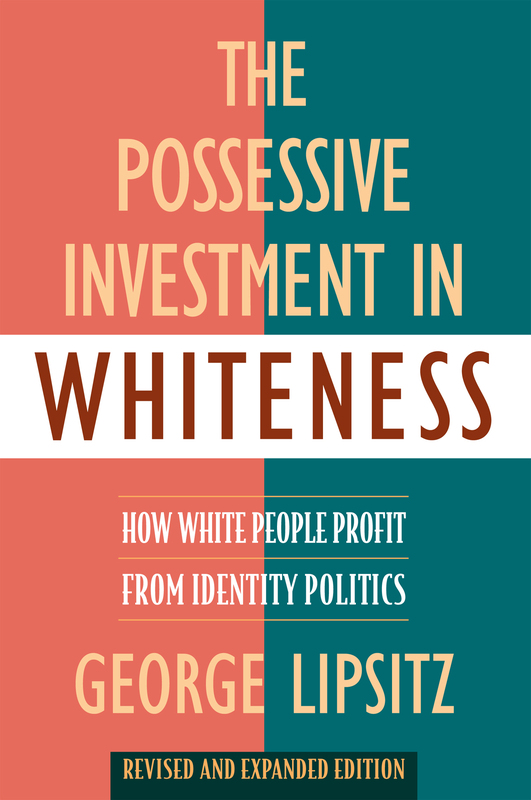 In this unflinching look at white supremacy, George Lipsitz argues that racism is a matter of interests as well as attitudes, a problem of property as well as pigment. Above and beyond personal prejudice, whiteness is a structured advantage that produces unfair gains and unearned rewards for whites while imposing impediments to asset accumulation, employment, housing, and health care for minorities. Lipsitz delineates the weaknesses embedded in civil rights laws, the racial dimensions of economic restructuring and deindustrialization, and the effects of environmental racism, job discrimination and school segregation. He also analyzes the centrality of whiteness to U.S. culture, This revised and expanded edition of The Possessive Investment in Whiteness includes an essay about the impact of Hurricane Katrina on working class Blacks in New Orleans, whose perpetual struggle for dignity and self determination has been obscured by the city’s image as a tourist party town. Rebuilding Community after Katrina chronicles the innovative and ambitious partnership between Cornell University’s City and Regional Planning department and ACORN Housing, an affiliate of what was the nation’s largest low-income community organization. These unlikely allies came together to begin to rebuild devastated neighborhoods in New Orleans after Hurricane Katrina. The editors and contributors to this volume allow participants’ voices to show how this partnership integrated careful, technical analysis with aggressive community outreach and organizing. 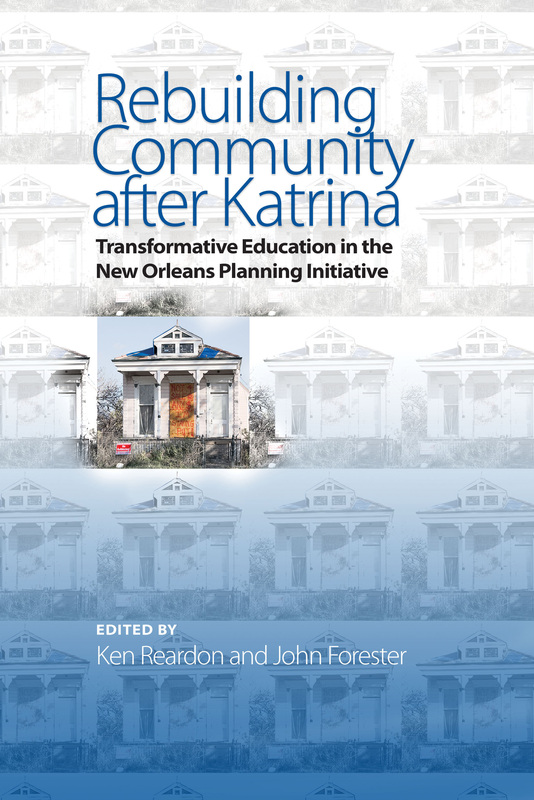 With essays by activists, organizers, community members, and academics on the ground, Rebuilding Community after Katrina presents insights on the challenges involved in changing the way politicians and analysts imagined the future of New Orleans’ Ninth Ward. What emerges from this complex drama are lessons about community planning, organizational relationships, and team building across multi-cultural lines. 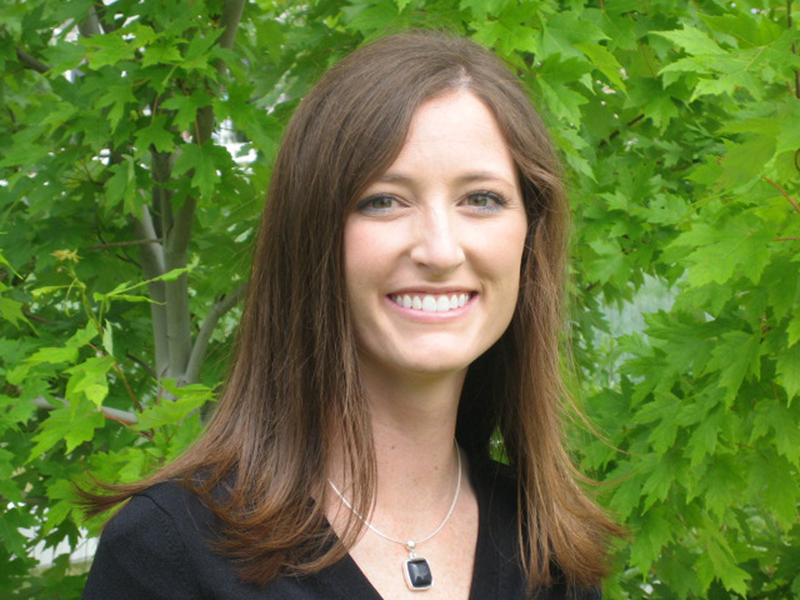 The accounts presented in Rebuilding Community after Katrina raise important and sensitive questions about the appropriate roles of outsiders in community-based planning processes. This week in North Philly Notes, we preview three forthcoming events at Philadelphia area libraries featuring Temple University Press authors. At the Community Room of the City Institute Branch of the Free Library of Philadelphia, 1905 Locust Street. 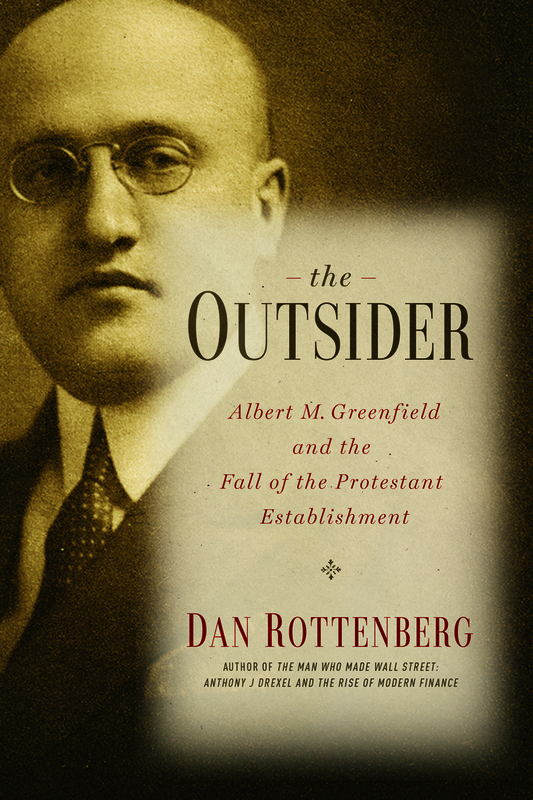 In The Outsider, veteran journalist and best-selling author Dan Rottenberg deftly chronicles the astonishing rises, falls, and countless reinventions of Albert M. Greenfield, a Russian immigrant outsider, and combative businessman. Tickets on sale Thursday, September 3 at 10:00 AM! “Grounded in ethnic identity, fueled by collective pride, yet irreducibly individual” (New York Times), Juan Felipe Herrera is the virtuosic first Mexican American U.S. Poet Laureate. The son of migrant farm workers, his writing is strongly influenced by his experiences in California as a campesino and the artistic movements he discovered in 1960s San Francisco. His poetry collections include 187 Reasons Mexicanos Can’t Cross the Border: Undocuments 1971-2007,Senegal Taxi, and Half the World in Light, winner of the National Book Critics Circle Award. The author of several works of prose, short stories, young adult novels, and bilingual picture books for children, Herrera joins the Free Library for a celebration of identity, cultural perspective, and the verses of a lyrical life. “A gifted, even poetic writer” (New York Times), Beth Kephart is the author of 18 books across a wide range of genres, most notably the memoir. The award-winning Handling the Truth offers a thoughtful meditation on the questions that lie at the heart of the genre. Another memoir, A Slant of Sun, was a National Book Award finalist. A writing professor at the University of Pennsylvania, Kephart is the recipient of a National Endowment for the Arts grant and the Speakeasy Poetry Prize, among other honors. From the suburbs to SEPTA to Salumeria sandwiches at the Terminal Market, Kephart’s new volume of personal essays and photos is an ode to all things Philly. 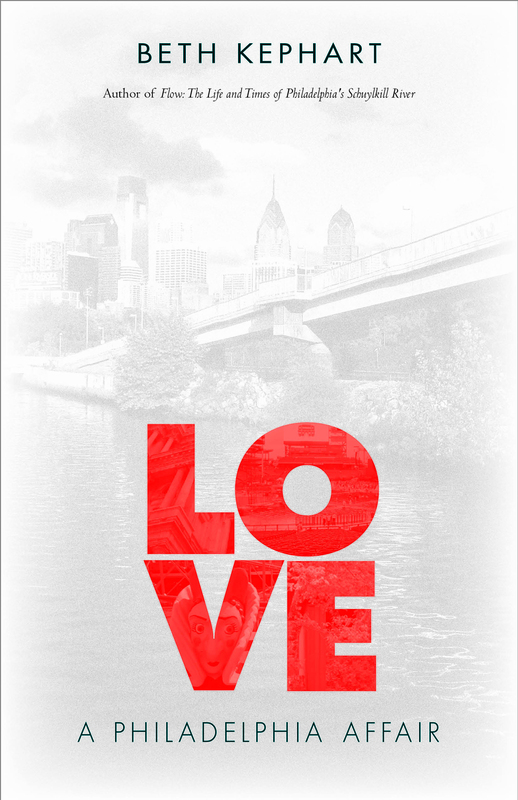 This week in North Philly Notes, we repost an essay by Beth Kephart, author of Flow the forthcoming Love, from the August 2 issue of the Philadelphia Inquirer about the Delaware River Mansion, Andalusia. There were speed traps set down along East Roosevelt Boulevard on my way to Andalusia. The air was steam, the heat was yellow gravy, and at every little stretch of road, like commas marking a long sentence, police cruisers were doing business with the newly penalized. I’m a good driver, but I’m rarely a happy one. I’ll take a quiet country road to any speed-trapped high- or byway. By the time I finally turned left on State Road and paralleled the Delaware River, I felt my heart rate slowing. Here were trees and here was calm. Here was space for pondering. Down a pebbled road I saw the famed estate – “the most beautiful and valuable place on the Delaware River, or, in fact, in the vicinity of Philadelphia,” it was said of Andalusia in November 1865. I rolled down my window and heard the crunching of my tires. A gardener waved. I parked on grass. I was by myself, and now wandering. I could hear the sound of shears in a garden of wisteria, the quick sprint of wild turkeys, the rustle of squirrels in trees. I could walk in any direction upon this pastoral and see – that mansion, this cottage, that garden, that restored grapery, this grotto, that river walk, this legacy of the historic Craig and Biddle families. It was Jane Craig who, at the age of 18, in 1811, married Nicholas Biddle. She was shy and disinclined to parade her wealth; she loved her childhood home of Andalusia. He was, and would continue to be, something – graduating at 15 from Princeton as the valedictorian, attending Napoleon Bonaparte’s coronation, befriending Daniel Webster, auditing the Louisiana Purchase, carrying on as a financier even as he edited a fine-arts journal (and the Lewis and Clark report), undertaking the creation of Girard College (on behalf of his deceased friend, Stephen Girard), and ultimately becoming the last president of the Second Bank of the United States. As a public man, Biddle lived glorious days and panicked ones.He was beloved but also (in the end) held (fairly or not) partly responsible for a broken economy. But at Andalusia, where the slight hill rises up from the rocky riverbank, where the tall ships still sometimes come, where the turtles float, where the clangor of Philadelphia was 13 miles south, he had his share of peace. Having bought the place from the John Craig estate, Biddle raised his family there, built (trial and error) that grapery there, dreamed of mulberry trees. He brought his friends to the house, hung their portraits in his library, pursued the sweet-milked Guernsey cow until it became established on both his property and in other herds. 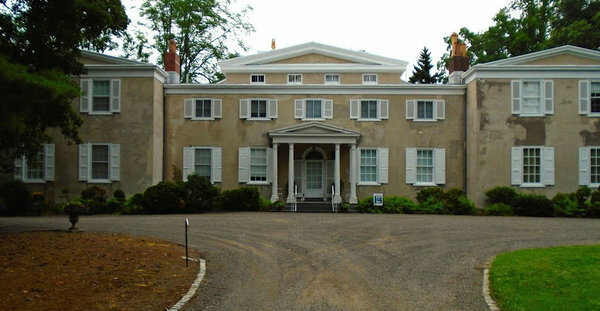 Benjamin Latrobe and Thomas U. Walter had both influenced the architecture of Biddle’s home. He left their imprints as they were. Left history in place, and history is indeed what you find as you walk the grounds, as you travel in past the door and in through the rooms that are bright with yellow velvet, marble busts, glassed-in bookcases. I was to meet students that day at Andalusia. The young people of the Fairmount Water Works Project FLOW as well as a dozen youth (and their adult leaders) from the San Angelo Independent School District of Texas – kids who call themselves the Aqua Squad. I had been asked to draw these young people from opposite parts of our country together through interviews and conversations. To set them off on minor explorations in pursuit of Andalusian wonder. I was to sit with them on the checkerboard veranda of the mansion beside the ample Doric columns, read to them from the 1886 diary pages of a young Kitty Biddle, and send them out into that garden to explore the inner lives of colors. But right then I was alone. The bus had not arrived. Yet. Not Project FLOW, not Aqua Squad. Not the dark-haired girl who would write her story from the perspective of a shadow. Not the boy who would confide about his Mexican grandparents, not the tall kid with the “Let’s Get Weird” T-shirt who would speak on behalf of the color red, not 14-year-old Sashoya Dougan, who would sit on that veranda contemplating the river and counting the years between now and the time she will say her wedding vows just beyond those Doric columns. None of that. Yet. It was still just me and the gravy of heat and the crunch of the pebbles on the path beneath my flip-flops and the quill-sized feathers that the scrambling turkeys had shirked off. Me thinking about the early goodness of the Biddle days, about the big risks of any ambitious life, about the tides that always turn and, if we’re lucky, if we live and hope long enough, will turn back again. I was thinking about how it is the land itself that quiets us, the rivers and their flow, the overlay of big tree boughs, the breeze that finally blows. It’s the land we return to in a blaring speed-trap world, it’s the pastoral up from the city. It’s also the middle-school kids who roll in on that bus and run quick up that path. Those kids, declaring themselves ready for magic.